Publisher: Helion. The book in a clear and accessible form explains how to operate the electric device. Contains a large number of practical examples, based on which you can create your own electronic devices. Translation: Konrad Matuk, Beata Pawlak. Publisher: Helion. 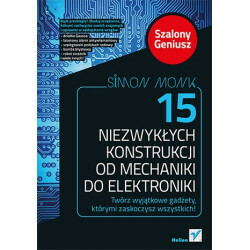 The book presents the safety rules needed when working with electronic systems and original designs for self-fulfillment. Translation: Peter Knight. Publisher: Helion. The book contains information needed to create prototypes of devices, products and applications by using the infrastructure of WWW. Translation: Konrad Matuk. Publisher: Helion. The book features 15 projects of electronic devices, thanks to which you will surprise your friends and family. Translation: Konrad Matuk. Publisher: Helion. The book is meant for young electronics enthusiasts. Translation: Konrad Matuk. Publisher: Helion. The book is a collection of unusual projects for self-production. Translation: Michael Sawka. Publisher: Helion. 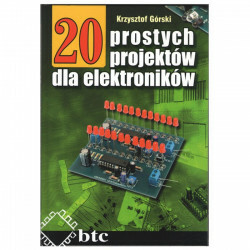 The book from scratch, explains the principles of creation of electronic circuits. It contained examples of projects based on the Arduino platform. Translation: Janusz Grabis. Publisher: Helion. The book is the best approach to the study of electronics. Publisher: BTC. 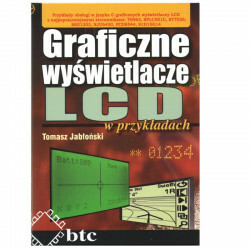 The book is support for the most popular driver graphic displays. Publisher: BTC. The book is a compendium of knowledge about electromagnets DC. Translation: Gregory Kowalczyk. Publisher: Helion. The book teaches penetration techniques, shows how to test the security of operating systems using the popular tools. Translation: Gregory Mańturzyk. Publisher: Helion. The book is a collection of spy gadgets for self-fulfillment. Publisher: BTC. The book contains 20 interesting ideas to create electronic devices. Publisher: Helion. The book is an interesting and simple way, with a bit of humor explains how to operate surrounding the electronic device, e.g. television, washing machine, telephone. Publisher: BTC. The book is a guide to the different kinds of electric motors of low power. Translation: Radoslaw Meryk. Publisher: Helion. 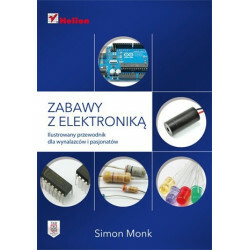 The book contains useful knowledge regarding transistors and design of systems using these revolutionary electronic components. Publisher: BTC. 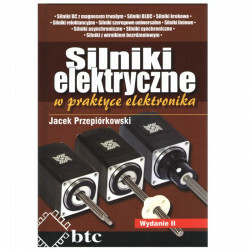 The book is a compendium of knowledge in the field of electronics. Synthesizes and uporządkowuje necessary in College technical knowledge. Translation: Konrad Matuk. Publisher: Helion. 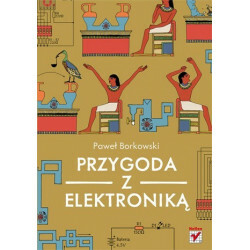 The book shows how to read information contained in electronic circuits and electric. Translation: Konrad Matuk. Publisher: Helion. A collection of several dozen projects for cooperative play and learning for parents and young artists.